KKF | Khmers Kampuchea-Krom Federation – Page 3 – The Khmers Kampuchea-Krom Federation (KKF) is a peaceful organization representing millions of voiceless Khmer-Krom people living in the Mekong Delta and its surrounding regions of current day Vietnam as well as thousands living in exile. KKF is a global organization ran by volunteers from around the world. Its human rights advocated activities are funded by donations from Khmer-Krom communities and the sympathizers across the continents. What a year 2014 has been! From the Universal Periodic Review in February to our annual UNPFII, EMRIP to a successful Europe Mission in November, KKF has worked around the clock to keep the Khmer-Krom issues in the international spotlight. This year has proved most challenging, but KKF has once again proven that it can rise to all challenges with it phenomenal force of dedicated and passionate volunteers across the world, working together to bring a voice for the millions of voiceless Khmer-Krom living in Kampuchea-Krom. Taking this opportunity, I would like to highlight some of our activities at the local and international level to keep the world aware of our people’s issues. In February, Vietnam was up for its second cycle of the Universal Periodic Review and was questioned by 106 diplomats represented for their own countries. KKF was able to submit a Shadow report to the Human Rights Council prior to its review and lobbied with States in order for them to ask questions on our behalf. On June 20th, Vietnam rejected 45 key recommendations out of 227 relating to core fundamental human rights, such as freedom of press and express, Freedom of Religion and Association. The rejection of such key recommendations has shown the world that Vietnam does not fully obligate its commitment as a member of the Human Rights Council. On behalf of Khmers Kampuchea-Krom Federation, I would like to express deep appreciation to our monks, fellow compatriots, and foreign friends that joined us – this past June 8th at Pothivongsa Buddhist temple – in the 65th year commeration on the transfer of Kampuchea-Krom to be under the painful colonialism of Vietnam. This successful event have greatly encouraged us. As a fighter in this non-violent struggle, I am especially encouraged to recieve the active support of international institutions and organizations, including the European Union. The numerous contribution and recommendations from your Venerable Monks, community members, and foreign friends during this assembly will serve as a example of unity and cooperation that will help to awaken consciousness of Khmers to this painful history of colonialism, to remind Khmers of our painful struggle, and not be neligent so that history do not repeat itself anew. In closing, I want to share with you all these pictures as memories and pray that all the sacred object of this world, follow and protect all of you. May you be met with happiness and prosperity always. On Sunday April 6th 2014, members of the Khmers Kampuchea-Krom Federation (KKF) participated in the Annual Khmer New Year Celebration in Long Beach, California, USA. Cladded in the colors of Khmer-Krom flag of red, blue and yellow, the procession was led by a group of Cha Yum performers dancing to the rhythm of the drums. In front of the beautifully decorated float, stood a proud Oknha Son Kuy, one of the most renowned and recognized Khmer-Krom heroes from Kampuchea-Krom, who was behead by the Vietnamese Court of Hue in 1841 in exchange for the right of the Khmer-Krom people to live according to their culture, tradition and religion customs. 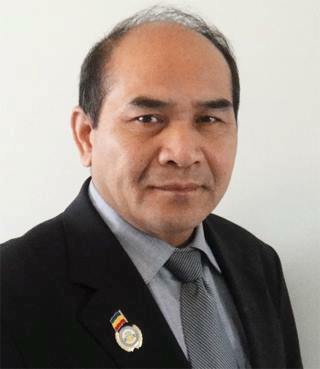 “We are proud and delighted to work in the collaboration with the Khmer Krom Association of Southern California, and the Khmer Krom Buddhist Temple in Long Beach, California to represent our Khmer-Krom,” says Mr. Prak Sereivuth, KKF Vice President. A KKF Booth was also set up after the parade allowing visitors to come and ask questions about peaceful advocacy of the organization and the people it represents. “There were American people as well as Cambodians who came and asked us about the Khmer-Krom map and to learn about our human rights issues,” says Mr. Prak Sereivuth. Thousands of Khmer-Krom Buddhist monks and people in Kampuchea-Krom are also flocking to their local temples to prepare and celebrate the Khmer New Year, a three day event celebrated by Khmer communities around the world from 14-16th of April 2014. According to a report by the Voice of Kampuchea Krom (VOKK) on the 13-14th February 2014 a Khmer Grammar book that was published in Thailand and sent to Kampuchea Krom was seized by Vietnamese authorities and prohibited from distribution. Entitled, “វេយ្យាករណ៍ខ្មែរសង្គ្រោះ” the Khmer Grammar book was originally written by Thach Ek in Kompong Spean (rename Cau Ke) District, Preah Trapeang (renamed Tra Vinh) province and was printed and published by Venerable Thach Chan Dara, a Khmer Krom Buddhist monk studying in Thailand. 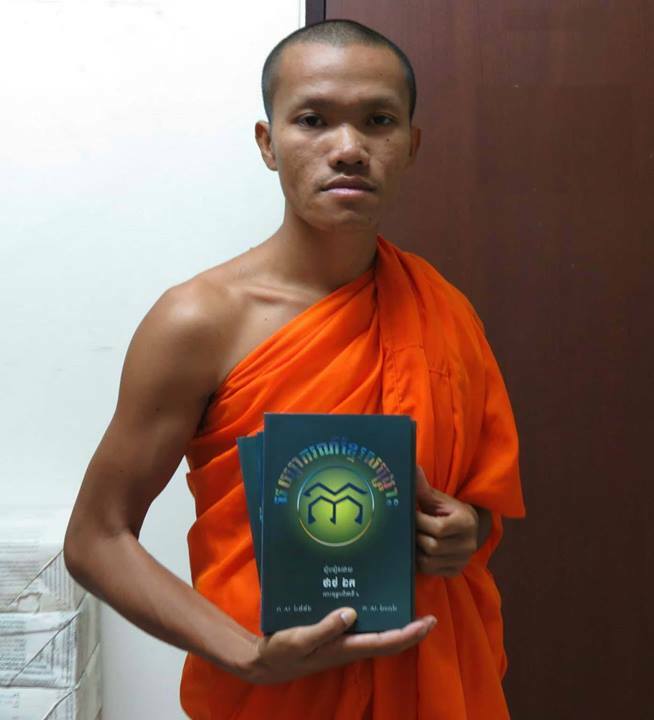 The book was sent to be distributed to Khmer Krom teachers and students as a reference guide to the Khmer language. Upon its arrival in Kampuchea-Krom on the 13th of February 2014, 10 police officers began to ask questions in regards to who created the book, published it and how was it sent over. Two books were given to the local Vietnamese authorities so the content of the book could to be examined. However,the Vietnamese authorities returned the next day and confiscated all the books, stating that it was against the Vietnam law and that content of the book was not approved by the Vietnam Government and they were prohibited from distributing it. “I have asked permission from the creator of this book to publish it because I thought it was important for our studies,” says Venerable Thach Chan Dara in the interview with VOKK. Venerable Thach Chan Dara has expressed his concern over the confiscated books, stating that the book was about Khmer grammar and did not contain anything political content that would oppose the Vietnamese Government. “There is nothing lawfully wrong about this book. It does not contain any political content, or go against the Vietnam government. 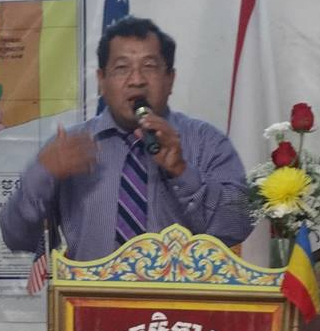 It serves to promote and encourage students and teachers to read and learn more about our Khmer language,” Venerable Thach Chan Dara adds. The creation and publication of Khmer books, history and culture continued to be closely monitored and prohibited by the Vietnamese Government. This example clearly shows that there are no Freedom of Press in Vietnam contrary to what what the Vietnamese government has stated in their recent Universal Period Review in Geneva on February 5th 2014. On February 5, 2014, the Khmer and Khmer-Krom around the world, especially in Europe, under the leadership of KKF Chairman, Mr. Thach Vien and KKF President, Mr. Thach Ngoc Thach, protested in front of the United Nations in Geneva to voice their concerns regarding to the human rights violations committed by the Vietnamese government against the Indigenous Khmer-Krom Peoples. Started from 2:30 PM, the same day, the United Nations Human Rights Council examined Vietnam for Second UPR cycle. Just like in the first cycle from 2009, Vietnam brought the whole team of 23 representatives, led by the Deputy Minister of Foreign affair, Mr. Ha Kim Ngoc, to defend its human rights record. The Vietnamese government continues to be an egregious violator of a broad array of human rights and is estimated to hold about 600 prisoners of conscience, including prominent faith leaders such as Father Ly and the Most Venerable Thich Quang Do. 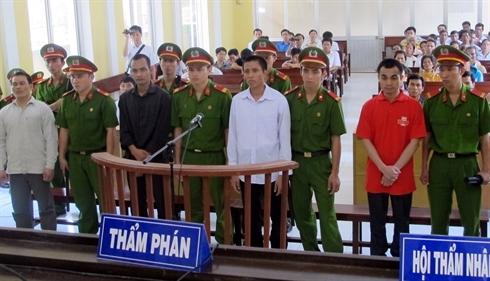 One of the points that is repeatedly raised in the hearings that I have held on human rights in Vietnam is that the authorities routinely torture people who are arrested for peacefully exercising their rights. The people of courage who should be celebrated for trying to help their country are instead imprisoned and further victimized by being tortured. First and foremost, the Khmers Kampuchea-Krom Federation (KKF) is a legitimate not-for-profit and the non-governmental organization (NGO). It is the nonviolent civil rights movement which inspires and trains emerging Khmer-Krom leaders. We base our strengths upon the legacy of Khmer-Krom heroes, and the legacy of respected world leaders. The KKF provides the forum and the platform for the Khmer-Krom Youth the skills and the opportunities to speak up, to champion and to win positive changes for their communities. We are not a “force” hostile to the Government of Vietnam (GVN). The KKF helps to raise awareness of and to speak up for what the voiceless Khmer-Krom people want and hopefully to work with the GVN to stop and eliminate the human rights violations. The GVN should promulgate and recognize the Khmer-Krom people as the Indigenous Peoples and respect their human rights. 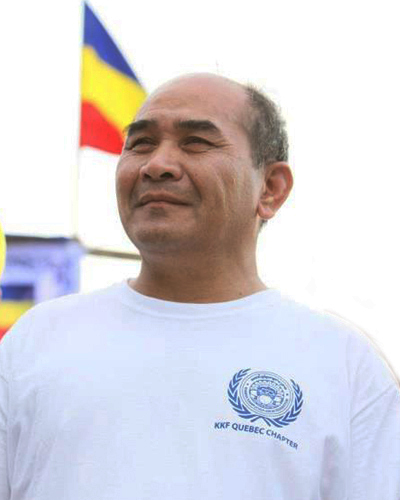 The mission of KKF is, through the use of peaceful measures and international laws, to seek freedom, justice, and the right to self-determination as enshrined in the Universal Declaration of Human Rights (UNUDHR) and the Declaration on the Rights of Indigenous Peoples (UNDRIP) for the Indigenous Khmer-Krom Peoples in Kampuchea-Krom (Mekong Delta region). The Khmer-Krom people are entitled to the equal protections under these international laws. The Khmers Kampuchea-Krom Federation also seeks to improve the quality of life for Khmer-Krom people and their families. The Khmer-Krom people are not ethnic minorities as classified by the Government of Vietnam. They are the Indigenous Peoples as defined and recognized by the United Nations. The Khmer-Krom people and their descendants have been living, nurturing and cultivating on their ancestral land of Kampuchea-Krom since the first century. Their cultural identity, socio economic well beings and language are established long before the arrival of ethnic settlers, are separate and distinct from all other ethnic minority groups. The practice of colonialism and neo-colonialism is alive and continues to exist. This practice can only strengthen and prove that the people of Khmer-Krom are the Indigenous Peoples. Contrary to the published policies and announcements, the GVN continues discriminations, intimidations, arbitrary arrests, imprisonments and harassments against the Khmer-Krom people and Khmer-Krom Buddhist monks. While the GVN claims and promotes the “pilot” bilingual education, and the cultural shows, the educational and cultural contents often distorts the true historical facts of the Khmer-Krom people. Immediately and unconditionally releases Mr. Thach Phum Rich, and Mr. Tra Quang Tha. Immediately and unconditionally releases Mrs. Ly thi Danh, Mrs. Lam thi Loan, Mr. Ly Minh Hai, and Mr. Tang Phola. Allow the Khmer-Krom Theravada Buddhist Monks to freely organize as an independent religious association and to freely conduct religious activities in general. First and foremost, on behalf of the Khmers Kampuchea-Krom Federation (KKF), I would like to wish you and yours a happy and prosperous New Year 2014. 2013 was such the best year for KKF. I would like to thank to KKF’s members and supporters around the world who worked tirelessly to make KKF’s 2013 plan successful. Regardless of difficulties that we faced in 2013, we were still being able to participate in meetings and conferences to bring the Khmer-Krom human rights violations to: Asian Forum, UNPFII, EMRIP, Pre-URP review, EU Parliament, US Department of State on International Religious Freedom, etc. 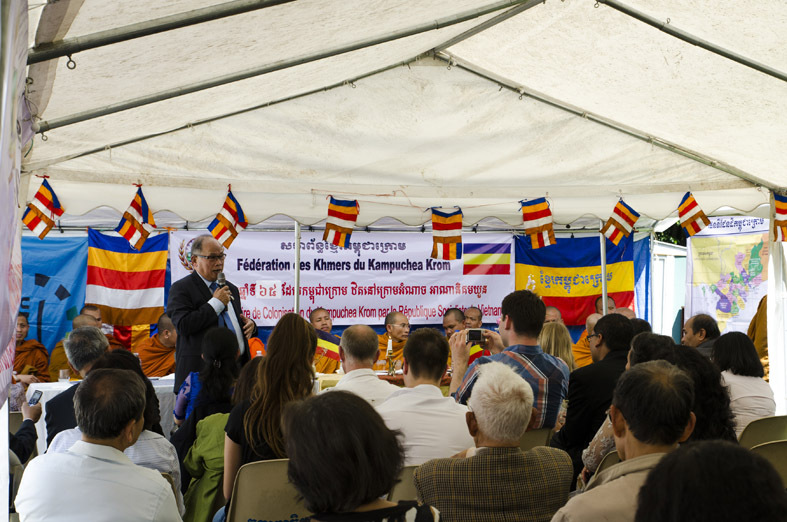 The KKF’s members and supporters organized peaceful protests around the world to demand releasing our Khmer-Krom Buddhist monks who were arrested, defrocked, and imprisoned without fair trials. The KKF’s works has had significant positive impact on demanding for the fundamental rights of our beloved Khmer-Krom. The Khmer-Krom flag has been continuously raised higher around the world to represent for the voiceless Khmer-Krom seeking for the right to self-determination. Do advocacy work at national parliamentary assembly with elected representatives in own country. Build and Maintain the “Who is Who Khmer-Krom” Project. Meet with Khmer-Krom Communities and Khmer-Krom’s Local Leaders in Cambodia. May the New Year bring to our beloved Khmer-Krom in our homeland FREEDOM – JUSTICE – DEMOCRACY.